Forget Superman, Flash or Spidey, the comic character I've always most felt a kinship with is Calvin, via Bill Watterson's seminal strip Calvin and Hobbes. The overdriven imagination of the straight talkin', parentally misunderstood anklebiter is one of the best creations the medium has ever produced (not to mention one of the funniest). 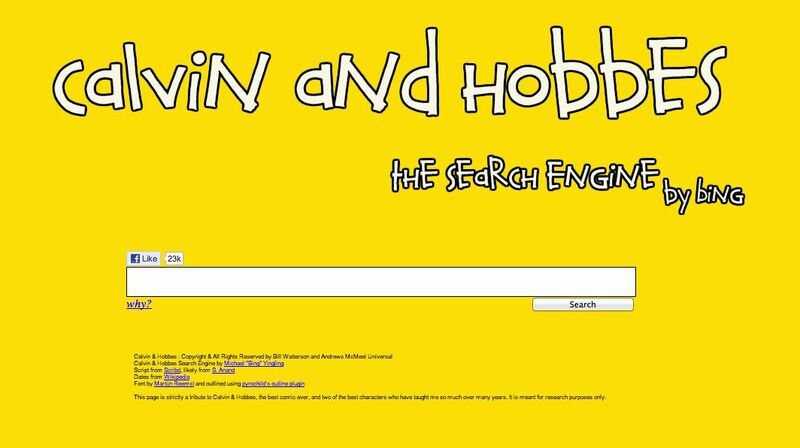 Now, thanks to the work of Michael Yingling, you can instantly search for any topic imaginable and the Calvin and Hobbes search engine will display every strip said search term ever appeared in, and where you can buy it collected. Cool huh? While Calvin nor his mother ever reference It's A Dan's World (though that would redefine awesome), surprisingly even Batman gets a few mentions. For me this will be the new answer to the age-old question 'Dan, are you listening to a word I'm saying?' but for you, I'm sure you are not so easily distracted/addicted. Still, just click here and give it at least one go. 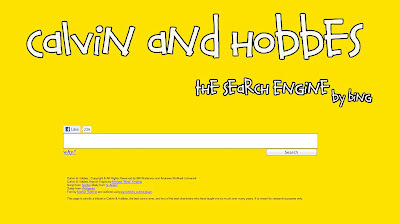 Type in Calvin's treehouse acronym 'G.R.O.S.S.' - you know you want to. Dan, I am linking this to my nerdy group on facebook. Because honestly, this is just too cool for words. We all grew up on Calvin. Not a day goes by that we don't quote him. Now my kids are doing it. It's funny. They're quoting Calvin now, and I'm quoting his parents. My son found all my Calvin & Hobbes compilation books a few years back and read them all through multiple times. I really wish Watterson hadn't retired the strip when he did. I understand WHY, I just wish he hadn't. That has to be generational karma or something like that huh? I know my Mum jokes to that effect sometimes when I have my more Calvin moments. At least I think she's joking.